June 25, 2018 – Mandarin Oriental, Hong Kong celebrates the natural side of the city with four curated outdoor excursions for guests to explore the territory’s unique geology. This eight-hour guided journey ventures to the beautifully rural Sai Kung peninsula often recognised as the “Back Garden of Hong Kong”. Guests will hike the undulating mountain paths with spectacular views of the ocean serving as the backdrop while exploring several deserted white sandy beaches along the way. Led by a professional guide, this eight-hour tour is tailored for adventure-seekers and water sport enthusiasts in search of uninhabited islands and uncovered beaches. Guests will kayak in pristine waters along the Sai Kung Country Park coastline, and learn about its various rock formations including sea stacks, arches and caves. Guests will go on a six-hour adventure to one of the most pristine parts of Hong Kong’s New Territories to cycle the picturesque Plover Cove before trekking to the highlands on foot in search of lush forest landscapes and secret waterfalls. Guests will embark on a modern Chinese junk boat and cruise to Lamma Island for an eight-hour day of exploration. From the traditional fishing village to the free-spirited, multicultural community, Lamma’s blend of Western and Chinese island life creates an irresistible vibe. Featuring artisan boutiques and hipster cafes, visitors will enjoy its sandy beaches, open-air seafood restaurants and a guided hike to explore the rustic villages and sweeping coastal scenery. Available throughout the year, guests can book the Bed and Breakfast room package with rates from HKD 4,280 per room per night, inclusive of daily breakfast for up to two persons. The above tours are available at the additional costs outlined below, must be booked at least 7 days in advance and are subject to 10% service charge. Terms and conditions may apply. 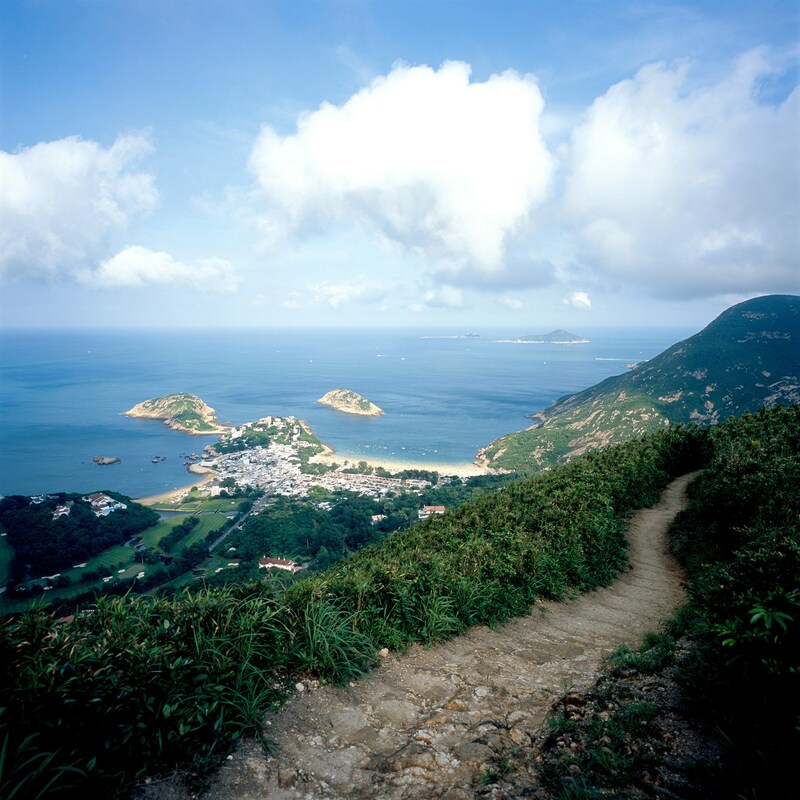 Hike & Deserted Beaches and Geopark Kayaking: HKD 950 per person for up to three guests. Larger group rate benefits are available while transportation and lunch can be arranged for an additional cost. Plover Cove Cycling & Hike: HKD 850 per person for up to three guests, inclusive of all equipment rental. Larger group rate benefits are available while transportation can be arranged for an additional cost. Junk Trip & Hike: For up to 20 guests, a charge of HKD 5,200 on weekdays and HKD 8,800 on weekends and public holidays. Onboard catering is available for a minimum of six people and priced from HKD 1,588 per person. For further information and reservations, please visit mandarinoriental.com/hongkong, dial +852 2522 0111 or email mohkg-reservations@mohg.com. The iconic Mandarin Oriental, Hong Kong is the epitome of contemporary luxury combined with Oriental heritage. Having delighted guests with award-winning services and impressive facilities for over 50 years, it is a much-loved address for those seeking an exclusive sanctuary in the heart of this exciting city. The hotel’s spacious rooms and suites offer magnificent views of the famous Victoria Harbour and the city’s skyline. A collection of 10 outstanding restaurants and bars, including three with Michelin Stars, a Shanghainese-inspired holistic spa, an indoor pool and a 24-hour fitness centre, make Mandarin Oriental, Hong Kong the quintessential “home away from home” for discerning leisure and business travellers alike. Photographs of Mandarin Oriental are available for download, in high and low resolution, from the Photo Library in the Media section of the hotel’s website: www.mandarinoriental.com. Mandarin Oriental Hotel Group is the award-winning owner and operator of some of the world’s most luxurious hotels, resorts and residences. Having grown from its Asian roots into a global brand, the Group now operates 31 hotels and eight residences in 21 countries and territories, with each property reflecting the Group’s oriental heritage and unique sense of place. Mandarin Oriental has a strong pipeline of hotels and residences under development, and is a member of the Jardine Matheson Group. Disclaimer: The Daily Brunch does not hold the credits to the content or the image. Previous articleIs Promiscuity A Good Idea?